Yarns is a MIDI interface providing up to 4 channels of very accurate CV/Gate conversion, which can be assigned to up to 4 voices. In single voice mode, note, velocity, modulation and aftertouch (or other CC) CV are produced, along with a gate, a trigger, and a clock/reset output. In two voices mode, two channels of note, modulation or aftertouch CV are produced, along with two gates, and clock/reset outputs. Finally, in four voices mode, four pairs of CV/Gate outputs are provided. Each voice has a built-in digital LFO to interpret modulation wheel messages as a vibrato; can respond to pitch-bend messages; or can be smoothed with a glide/portamento control – no need for a dedicated module and patches to get the right response from a MIDI keyboard! The 2 and 4-voice modes are available both in a “polyphonic” and “multitimbral” flavour. The former receives chords from one single MIDI channel and dispatches them to the voices; while the later provides independent monophonic parts – which can be addressed to different MIDI channels, keyboard ranges, or even velocity levels. Various note priority modes (low, high, last) and polyphonic allocation schemes (voice-stealing, random, cyclic) allows you to fine-tune the CV/Gate conversion to your playing style. 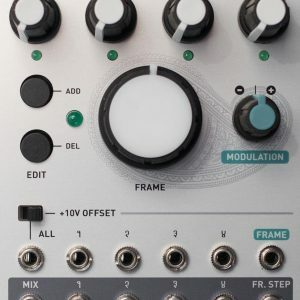 Each part can generate sequences either through an arpeggiator/euclidean sequencer combo; or with a SH-101 style sequencer with step-by-step recording, storing up to 64 notes. 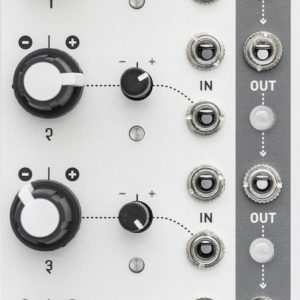 The module can sync to an external MIDI clock, and generate a clock/reset output at any subdivisions of the MIDI clock. 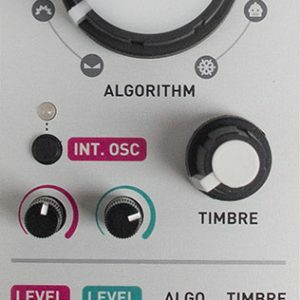 Other unique features include support for microtunings (either through standard MIDI messages or from a selection of historical tunings or indian ragas), just intonation, and an audio output mode which can transform one, two, or four of the CV outputs into simple digital oscillators. Monophonic with note, velocity, modulation wheel, auxiliary CC/aftertouch CV. 2-voice polyphonic or 2-part multitimbral with two note CV and auxiliary CC/aftertouch CV. 4-voice polyphonic or 4-part multitimbral with four note CV. 4-part trigger conversion with MIDI note selection for each part. Clock/reset output in monophonic, duophonic, or trigger conversion modes. Polychaining mode handling half of the notes internally and forwarding the other half to the MIDI out. Multiple voice allocation schemes in polyphonic mode (voice-stealing, random, cyclic). Multiple note priority modes in monophonic mode (lowest, highest, latest). 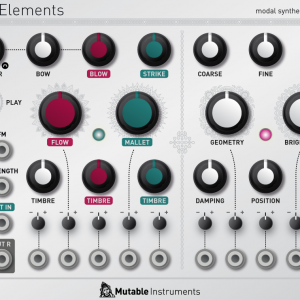 Arpeggiator with up/down/up&down/random/chord/“as played” modes and 22 preset patterns. 64-note SH-101 style sequencer per part. 1 V/oct and 5V Gate/Trigger standard. Micro-tunings (programmed through MIDI tuning messages). Portamento, pitch-bend and modulation wheel (vibrato). Audio output mode replacing the note CV by a digital oscillator offering sine, square, pulse, triangle, sawtooth or noise waveforms. 8kHz CV refresh rate, 48kHz refresh rate in audio mode. High-end 16-bit DAC and voltage references. 12-point calibration table, adjusted in factory. 8 memory slots for storing/recalling all settings and sequences. Cortex-M3 ARM processor guaranteeing blazingly fast response to MIDI messages (125µs latency).